Uncategories Accusing is easy but the bearing is not! 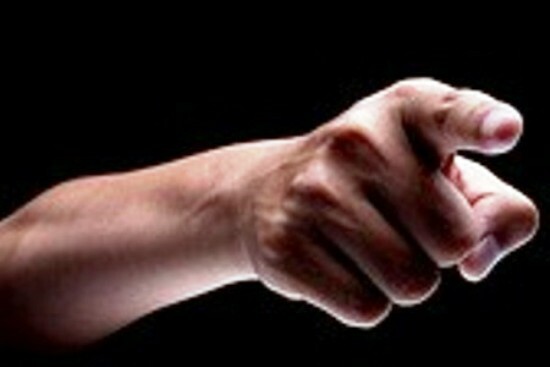 There is an old saying – when you point a finger at someone, don’t forget that three are pointing out to you also. One cannot just point a finger and send someone to jail as there has to be sufficient material to prove that your accusations are valid. Even if one may not have an answer to any of your questions but there are definitely consequences for falsely accusing someone of a crime. Accusing in politics is common with charges and counter-charges. The ruling party would always accuse that the opposition party is always opposing all its policies even if it is in the larger interest of the country. It’s not that they are any messiahs to the masses. But when they were sitting in the opposition, they also used to adopt the same strategy. It’s an admitted fact that criticizing is an integral part of our game as we don’t accept what others are saying like the doctor, who will never agree to the prescription of the other doctor and tips by the sports coach. Even the fast bowler takes the pride of saying that his bowling is faster than that of his contemporary. Even sibling rivalry is a common phenomenon. A brother can’t tolerate the progress of his own brother, while a sister would detest the beauty of her younger sister. Have you ever thought that as to why do we have this negative train of thoughts in our personality and how does it come so naturally to us? But it happens and happening between the two – despite the fact that neither they are having relations directly or indirectly nor they are working in the same organization yet they can’t stand each other’s progress. One may own a good house but may not be able to comprehend the fact that his counterpart has purchased a 3bhk flat. To be more specific and clear about the concept of pleasures and downgrading- not many are blessed with a wife like mine but at the same time, only a handful are gifted with kids like me. I do recollect when I go back to my memories in the 70s when I pointed out that the in-kind gift sent to me by a senior officer of marketing department – in lieu of my proposal while in service - is not that which is mentioned in the letter. My proposal was appreciated but when it came to my turn to point out that whatever product is in stock, should have been mentioned in the letter with the gift, was not digested and I was being ignored for my subsequent proposals for improving the sales of the products of my department. Frankly speaking, criticism may not be agreeable but it is necessary because it calls attention to the development of an unhealthy state of things. If it is heeded in time, danger can be averted but if it suppressed, a fatal distemper may develop. Only that person has the right to point a finger that has the heart to help. It is very easy to criticize but requires immense courage to appreciate others. You should not criticize what you can’t understand and to avoid criticism say nothing, do nothing, be nothing.